The team of faculty for the online Master of Science in Applied Statistics is led by Thomas Ilvento, Professor and Chair of the Applied Economics and Statistics department (APEC). Professional statisticians working at leading organizations developed courses specifically for the University of Delaware’s online master’s degree program in applied statistics, which also includes courses developed by the distinguished full-time faculty members who teach our on-campus students. All of the courses for the online program are managed by master’s degree level statisticians who are APEC faculty members. Thomas Ilvento specializes in collaborative needs assessment projects, in which he involves industry professionals in the design and implementation of surveys, focus groups, and other methods. His experience also includes public policy, business retention, community needs assessment, and collaborative problem solving. Ilvento is trained in research methodology, applied statistics, demography, facilitation, mediation, and collaborative problem solving. He teaches graduate and undergraduate courses in applied statistics and has taught online class for more than 15 years. He also runs the StatLab, a statistical consulting opportunity for students, faculty, and outside companies and organizations. Ilvento has co-authored numerous published studies and is the author of the text, 2013 Statistics, Plain and Simple. He earned his Ph.D. in rural sociology and his B.S. degree in Community Development, both from Pennsylvania State University. He holds an M.S. in Resource Economics/Community Development from the University of New Hampshire. Prior to joining the University of Delaware, he was an Associate Professor at the University of Kentucky. Patrick DeFeo is an Adjunct Instructor for the Department of Applied Economics and Statistics and a Course Developer for the department’s Online M.S. in Applied Statistics degree program. As the Principal Consultant Statistician for the DuPont Company, DeFeo has provided statistical leadership working with multidisciplinary teams in product development and process improvement. He has lead project teams, designed studies, and used advanced statistical analyses to provide practical guidance for complex business projects. During his 29 years at DuPont, DeFeo has taught training in design of experiments, data analysis, and statistical process control. He has also taught Six Sigma training for Black Belts and Master Black Belts at the organization and is a DuPont certified Master Black Belt. DeFeo holds a Ph.D. and M.S. in Statistics, both from Virginia Tech, and a B.S. in Mathematics from Montclair State College. Steven Bailey worked in DuPont’s Applied Statistics Group for more than 36 years, retiring from the organization in 2016 as its Principal Consultant and Master Black Belt. During his first two decades at DuPont, Bailey applied Statistical Process Control (SPC), Design of Experiments (DOE), and other data-based improvement methods in a Product Quality Management (PQM) framework for multiple DuPont businesses. From 1999 until his retirement, Bailey drove the deployment of Six Sigma in DuPont through co-developing and coordinating their corporate leveraged Black Belt, Master Black Belt (MBB), and Champion training, as well as leading their corporate MBB Network. He has been an active member of the American Society for Quality (ASQ) for more than 30 years, serving as the Society’s President in 1997-98 and its Chairman of the Board in 1998-99. Bailey is a certified Black Belt and a certified Master Black Belt, by both DuPont and ASQ. He holds a Ph.D. and M.S. in Statistics and a B.S. in Computer Science and Statistics, all from the University of Wisconsin. Chunbo Fan’s focus is on promoting students’ academic success which extends to their professional achievements. She emphasizes on combining real-world practices to theoretical training in statistics, and encourage students to apply critical thinking in their daily situations. 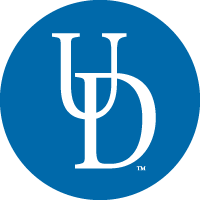 Before joining UD, Fan was an Associate Director at Bayer Pharmaceutical, and a manager of Quantitative Commercial Insight at Astrazeneca Pharmaceutical. She has more than 11 years of experience in the industry, specializing in commercial analytics, marketing mix modeling, and commercial experiment and pilot programs. Chunbo earned her Ph.D. and her M.S. from the University of Delaware, and she holds a B.S. from the Central University of Finance and Economics (China). Geoffrey Scott’s professional focus is on analytics to support academic and corporate practices. He has more than 11 years of experience with market research practice and supporting analytics in the pharmaceutical industry and 16 years of experience in applied math and statistics in the telecommunications industry. Geoff’s teaching and research experiences includes appointments at Northeastern University, Temple University, and Rider University. He is experienced in curriculum development and knowledge delivery in both on-line and on-ground courses. He specializes in teaching predictive analytics, data warehousing, database designs and analytical processes in health information management, optimization methods, operations research, management information systems, and production and operations. His research interests include predictive analytics, big data, data visualization, machine learning, optimization algorithm development, influence networks and adoption modeling, mix modeling and stratified test-control. In the corporate domain, Geoff has worked at AstraZeneca as a Senior Manager in Marketing Science and AT&T Bell Labs as a Member of Technical Staff and liaison to the Bell Labs Mathematical Research Center. His global experience includes multiple engagements in United States, Canada, France, Germany, Spain, Mexico, The People’s Republic of China, and The Republic of China. Geoff earned a Ph.D. and M.S. at the University of Pennsylvania, Moore School of Electrical Engineering. He also earned a B.S. at Brown University, Physical/Quantum Chemistry. He is the author of more than forty technical publications and presentations in the public and corporate domain. Melissa Ziegler is a Senior Biostatistician at the University of Delaware College of Health Sciences, where she collaborates with investigators in clinical research activities including statistical design and analysis and selection of appropriate statistical methodology. Prior to joining the UD College of Health Sciences, Melissa worked as instructor in the UD Department of Statistics, lecturing the Logistic Regression course, co-lecturing the Biostatistics course, and developing all content for both courses. Ziegler was a Consulting Statistician at DuPont for 10 years, serving as the Lead Consultant with Crop Protection Research and Development and as At-Large Consultant with multiple business units. She also worked as an instructor at DuPont, teaching Six Sigma Black Belt and Green Belt courses and courses on experimental design and product commercialization. Ziegler holds a Ph.D. and M.A. in Statistics, both from the University of Pittsburgh, and a B.S. in Mathematics from Elizabethtown College. Mia Papas is the Director of Clinical Research and Health Outcomes for The Christiana Care Health System and Value Institute, where her responsibilities include providing mentorship to Value Institute investigators and scholars, and service line consultation. Her expertise includes experimental and observational study designs, big-data analytic methods, the assessment of validity and reliability of screening tools, sample size and statistical power, the analysis of longitudinal data, hierarchical linear modeling, the use of geographic information systems in understanding the effect of place on health and health behaviors, factor analysis, survival analysis, and multivariate logistic and linear regression. Papas engages in research on the role of maternal dietary factors in influencing child obesity, premature mortality among people with severe mental illness, and health disparities for people with physical and emotional disabilities. She has authored more than 40 peer-reviewed articles and has taught at both the University of Delaware and Drexel University. Papas holds a Ph.D. in Epidemiology from the Johns Hopkins University, an M.S. in Epidemiology and Biostatistics from the University of Massachusetts at Amherst, and a B.S. in Mathematics from Fairfield University. Hemei Liu is a Supervisory Specialist in the Federal Reserve Bank of Philadelphia, and a Course Developer for the Online M.S. in Applied Statistics Degree Program. Prior to joining the Federal Reserve Bank, she was a quantitative operation manager at the Bank of American. She has nineteen year of banking experience with proven modeling skills, in-depth knowledge on portfolio profit growth through credit line optimization, subject-expert on data quality monitor, model performance tracking, and experimental design. Her modeling skills include binary logistic regression, multinomial logit analysis, logit analysis for longitudinal data, discrete time survival analysis, multivariate linear regression, time series model, valuation-framework profit model, optimization, machine learning, cluster analysis, multi-level experimental design, model performance evaluation, variable screening, model validation, data quality monitoring, and model examination. Her honor and achievements include a US patent for the novel methodology of monitoring model score migration, generating incremental $60mm profit per year from her credit line increase model, generating $6.6mm expense saving per year from her collection model, and generating $22mm capital saving per year from her reward point breakage model. Hemei holds a M.S. in Statistic from the University of Delaware, a M.A. in Energy and Environmental Policy from the University of Delaware, and a B.S. in Mathematical Statistics from the NanKai University. Joseph Scocas is an Adjunct Instructor for the Department of Applied Economics and a Course Developer for the Online M.S. in Applied Statistics degree program. He has worked at DuPont since 2007 and, in his current role as Statistician/Research Investigator with the Crop Protection division, his responsibilities include statistical simulations; analysis, using generalized linear mixed models; project management; support of discovery; and development and product support. He also has developed Design of Experiments (DoE) training, supervised master-level contractors and mentored graduate-level interns. Scocas previously served as a Statistician/Consulting Statistician at DuPont, working with multiple divisions as a member of DuET’s Applied Statistics Group. Prior to joining DuPont, Scocas served as a Financial Officer, Mortgage Officer, and Management Analyst for the Delaware State Housing Authority, where he provided financial reports to investors, performed financial and regulatory compliance on loan applications, and provided internal and external statistical support. He is Six Sigma Green Belt certified and Black Belt trained. Scocas is also an expert in the use of SAS programming including SQL coding, SAS macro language, statistical procedures, and advanced graph programming. Scocas holds a M.S. in Statistics and a B.B.A. in Operations Management and Supervision, both from the University of Delaware.